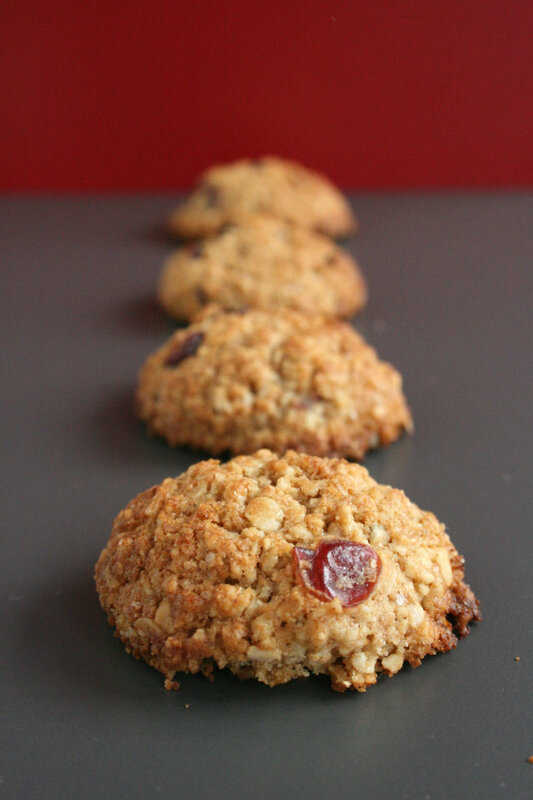 My newfound love for healthy cookies goes on :) This time I combined cranberries and oat flakes with condensed milk, which is widely used abroad. 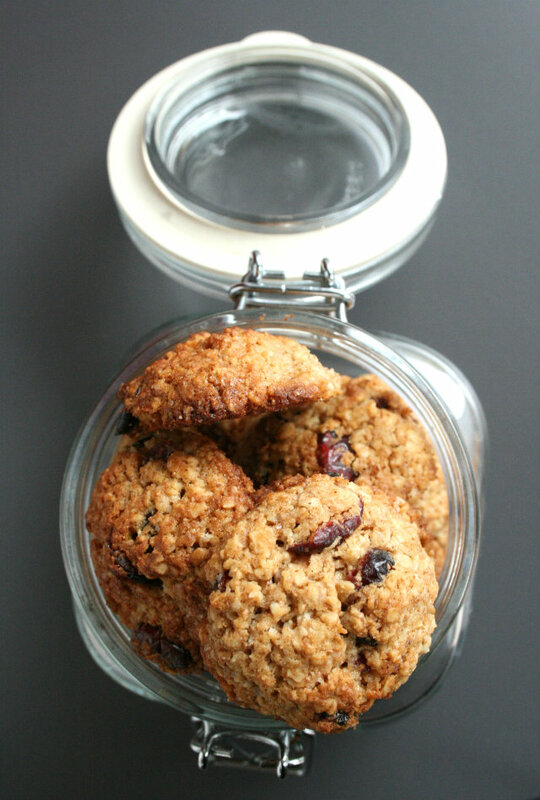 It provides softness and chewyness so these are very delicious – generous and soft, with a granular structure and a sourness from cranberries. I never tried, but I guess it would be no problem to replace the condensed milk, with regular or just add a little more butter – if you do not have or do not want to use condensed milk. Preheat the oven to 180 ° C, and line the baking pan with parchment paper. Using a mixer, beat the butter with the sugar and add the milk. 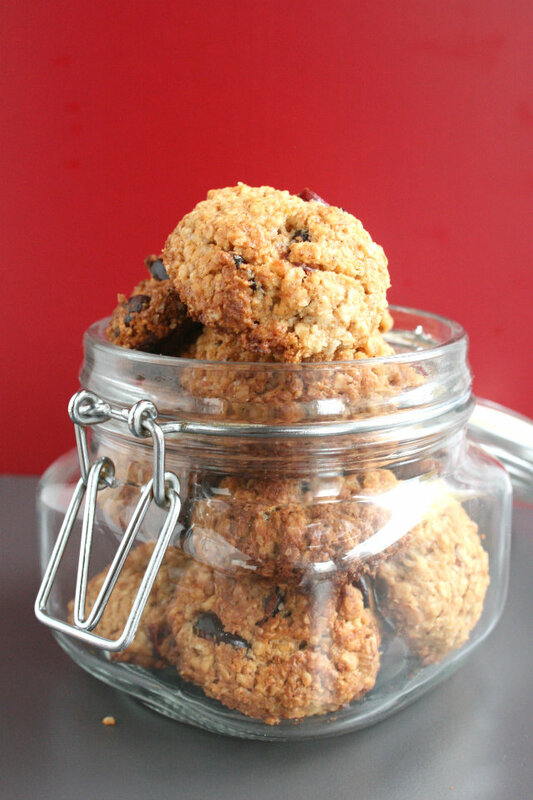 When everything is connected, stir in the oats, flour, baking powder and cinnamon. Mix well and finally add the cranberries by hand. Make walnut-sized balls with your hands and arrange them in a baking pan, leaving a gap of 3-4 cm between them. Bake for about 15 minutes, until they start to smell nicely and take on color.